WASHINGTON—In the event the Supreme Court strikes down the president's health care law, the Obama administration has prepared a contingency plan under which all 313 million Americans would share a single large jar of ointment, sources confirmed Tuesday. 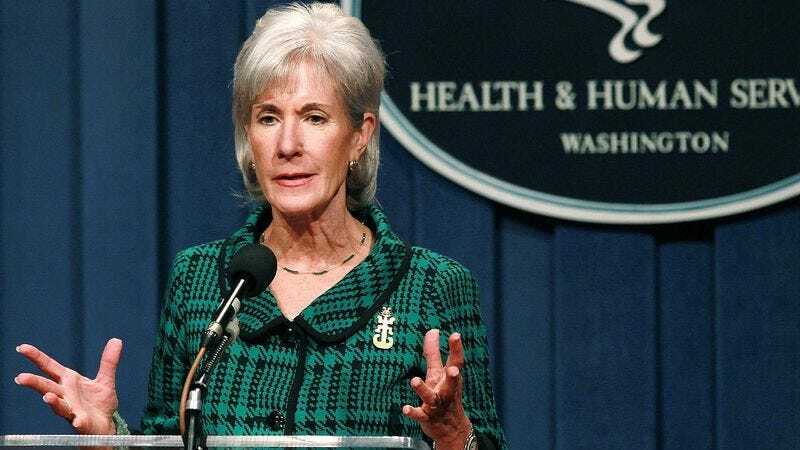 "We are committed to protecting the health of the American people, and while it's not a perfect solution, allowing citizens to scoop up fistfuls of ointment from a giant communal jar would at least guarantee a certain minimal level of care," said Health and Human Services Secretary Kathleen Sebelius, stating that the 96,000-pound container of topical rub would be located in the middle of the country and that, in some cases, citizens might have to travel 1,300 miles to have access to the salve. "I will say there is only a limited amount of ointment, and those citizens who are gravely ill and lack medical insurance will get first dibs at the soothing unguent." At press time, top Republicans had already blasted the so-called “Ointmentcare” plan, arguing that the use of taxpayer funds to salve the careless and negligent violated the rights of those who had responsibly obtained their own private stashes of calamine lotion, Icy Hot, and Preparation H.